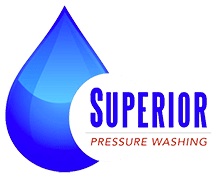 Streamline your property maintenance plan with Superior Pressure Washing. We serve our neighbors in Silver Spring and the surrounding Maryland area with pressure washing solutions that lock in the value of your home or business. With a complete suite of services that include house washing, window cleaning, concrete cleaning, and more, we protect quality and guarantee curb appeal. Experience the difference from professionals who deliver maximum performance to Silver Spring properties.